ReFa is a unique skin care line to enhance the skin's natural radiance. With ReFa’s skin tailored devices like the Platinum Electronic Roller ReFa PRO and CARAT, a low current of micro-current electricity mimicking esthesthic spa treatments to stimulate and restore the skin. ReFa prides themselves in tailoring every detail to the skin, applying the perfect amount of pressure and comfort to achieve maximum beauty effectiveness. Stimulate and revive tired, stressed skin with the ReFa Carat. This platinum unique, 360 degree roller delivers indoor, solar-derived energy as gentle micro-currents to boost circulation, enhancing firmness and improving tone. Its Double Drainge Roller replicates a professional's deep kneading action to beautifully tone and tighten your delicate skin. With the ReFa S Carat Ray you can replicate the kneading and massaging technique of an aesthetician to firm and tone your face within the delicate areas around your eyes and mouth. Its innovative 360-degree, multi-angle design, the S Carat fits into the contours of your face for targeted treatment. The portable design ensures that you can treat yourself to a facial massage when and wherever you want. 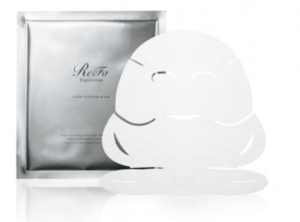 Rejuvenate the face with the ReFa High Tension Mask. These masks feature a unique double-hook design that secures comfortably around the ears to hold the mask in place as it nourishes and revitalizes the skin. Its botanical extracts promote firmness and elasticity and diminish hyperpigmentation for a radiant complexion. The online USA ReFa store has by far the largest range of ReFa products in the world. The USA ReFa online store unfortunately does not offer international shipping. Not to worry though! Big Apple Buddy, your personal shopper, can help you buy products from the USA ReFa online store and ship them to your doorstep, no matter where you are in the world. We offer international shipping to over 110 countries including Australia, Austria, Azerbaijan, Bahrain, Belgium, British Virgin Islands, Brunei, Bulgaria, Canada, Chile, Costa Rica, Croatia, Czech Republic, Denmark, Estonia, Fiji, Finland, France, French Polynesia, Germany, Gibraltar, Greece, Greenland, Hong Kong, Hungary, Iceland, Indonesia, Ireland, Israel, Italy, Japan, Jordan, Kuwait, Latvia, Liechtenstein, Lithuania, Luxembourg, Macau, Malaysia, Maldives, Malta, Marshall Islands, Mauritius, Monaco, the Netherlands, Netherland Antilles, New Zealand, Norway, Oman, Poland, Qatar, Romania, San Marino, Saudi Arabia, Serbia and Montenegro, Seychelles, Singapore, Slovak Republic, Slovenia, Spain, South Africa, St. Lucia, Sweden, Switzerland, Taiwan, Thailand, the UAE, the UK, Vatican City, and Vietnam. If you would like to buy from the USA ReFa online store, simply let us know which items you would like to order (by filling out the form below) and we’ll get back to you with a free international shipping quote within 24 hours!